If you liked the FQ PopUp then you will love the Stacking PopUps Three new sizes for all your storage needs. Medium 8" diameter x 8" tall. Large 10.5" diameter x 11" tall. Extra Large 14" diameter x 16" tall. Pattern does not include PopUp Springs. Refills are sold seperately. 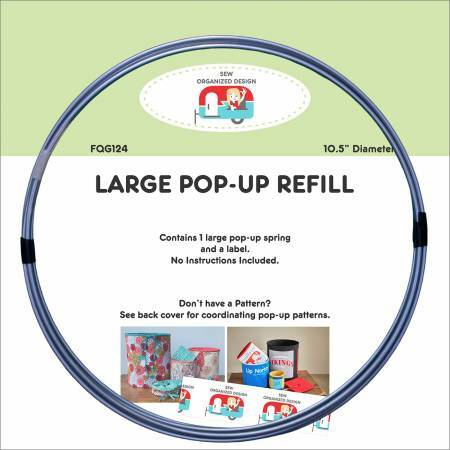 FQG123 Medium PopUp refill, FQG124 Large PopUp Refill, FQG125 Extra Large PopUp refill, FQG126 Stacking PopUp refills all 3 sizes.